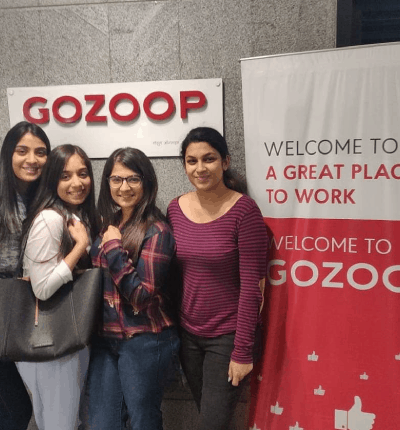 The junior and final year Interior Design students had an eventful day with an extremely engaging and interactive experience with Designer Jannat Vasi at one of her office projects that was designed for Gozoop – a creative ad agency. Jannat and Ahmed ( creative head of go zoop) was kind enough to take them through every aspect of their journey of building Gozoop an 8500 sqft office in Andheri. Towards the end of the session, Jannat also had her team include the students as a part of their photo shoot where the students got an opportunity to de stress in the play zone.